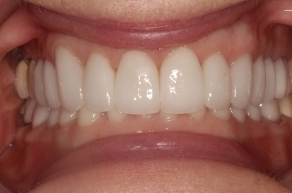 What Are My Full Mouth Restoration Options? 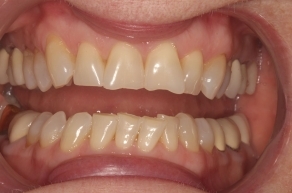 What Are the Steps of a Full Mouth Restoration? How Much Does a Full Mouth Restoration Cost? With full mouth restoration services, cosmetic dentist John Cross, DDS can restore optimal dental health and a full, natural-looking smile. Many of our patients experience a boost in confidence after their rehabilitation is complete and are proud to reveal their beautiful new smile. Root Canal Therapy: For teeth that have significant damage or decay, root canal therapy may be required to eliminate infection and save the tooth. Once the tooth is cleaned and sealed, Dr. Cross restores the tooth with a custom dental crown. Laser Therapy: State-of-the-art dental lasers can treat gum disease with extreme precision, fighting bacterial infection below the gum line and closing large gingival pockets that can develop around the teeth. Dental implants: Dental implants are considered the gold standard for replacing a missing or severely damaged tooth. Secured by a titanium post implanted in the jawbone, the firmly attached dental implant crown is able to function much like a natural tooth. Porcelain veneers: These thin shells of porcelain can be affixed to the front side of each tooth to conceal a wide array of cosmetic imperfections including chipped, gapped, stained, worn, and/or misaligned teeth. 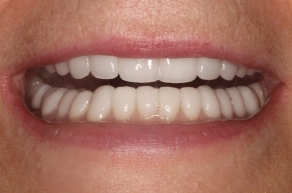 The shape, size, and color of each porcelain veneer is highly customized to blend naturally with the surrounding teeth and create a beautiful smile. Porcelain crowns: For teeth that are structurally damaged due to trauma or decay, porcelain crowns can be used to reinforce and preserve the remaining portion of a natural tooth body. Using CEREC® technology, Dr. Cross can complete the tooth preparation process, restoration fabrication, and porcelain crown placement within a single office visit. Implant-supported dentures: Implant dentures are an innovative alternative to traditional removable dentures that offers unparalleled stability and eliminates denture slippage. 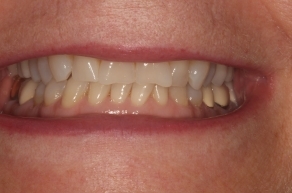 These dentures are locked in place by strategically placed dental implants. Implant-supported dentures can replace an entire arch of teeth with beautiful, natural-looking results. During the initial consultation, Dr. Cross will perform an oral exam, discuss your goals and expectations, and recommend the combination of dental procedures that can meet your needs. Once you have selected the options that are right for you, Dr. Cross will design a customized treatment plan and schedule the start of your care. Depending upon the condition of your oral health and reconstructive needs, your full mouth restoration treatment plan may require multiple office visits to complete. At the end of your preliminary consultation, Dr. Cross will provide you with a timeline for your treatment. Dr. Cross custom-tailors each full mouth rehabilitation treatment plan according to the unique needs of the patient. As a result, the cost of a full mouth restoration can vary from case to case. The type of dental services you require, the severity and complexity of your dental issues, laboratory fees for restorations, and any sedation costs will impact the total price. Dr. Cross will provide you with an accurate quote at the end of the consultation process. It is possible that some portion (or all of) your treatment may be covered under your dental insurance plan. For qualified patients interested in affordable dental financing, OC Lifesmiles offers low to no-interest loans through a third-party company called CareCredit®. Are you considering transforming the health and appearance of your smile with full mouth reconstruction treatments? If so, we encourage you to contact OC Lifesmiles to schedule a consultation with Dr. Cross, our experienced dentist.